He teams with viola player Tawnya Popoff for his new SHSK'H release. 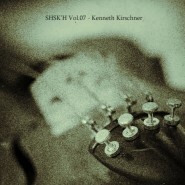 Forgive longtime listeners to the work of Kenneth Kirschner if they (we, really) mistakenly think the title of his new, three-piece album on the SHSK’H netlabel is September 21, 2012. That’s how it appears to be on the netlabel’s website (see detail of screenshot above), and as Kirschner listeners know, he titles almost all his work with the date of its production. In fact, that simply is the date of release, and the album’s actual title is merely Shsk’h Vol.07. No matter, the appearance of new work by him is multiply enjoyable: First, because it exists to begin with. Second, because, by definition, this being a netlabel release, it is free to download. Third, because it is a duet — a work for him and his colleague, viola player Tawnya Popoff. And fourth and foremost, because a certain amount of attentive listening will be required to tease out where his piano ends and Popoff’s viola begins. The tonal congruities are as much a matter of sympathetic playing as they are of compositional approach. There’s barely a plosive evident in either’s efforts, long held tones echoing pixel vapors, moiré patterns extrapolating from chance encounters of layered drones. Due to how the work is posted on the netlabel’s website, there’s no easy embedding of it here. Get the release for free download at shskh.com. 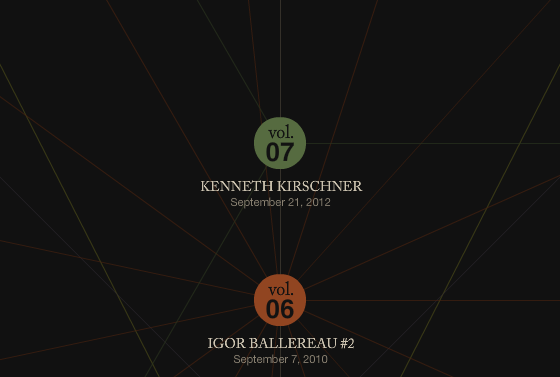 More on Kirschner at kennethkirschner.com, and on Popoff at afarcry.org. The Assignment: Combine three tracks from the Nowaki netlabel into one. The netlabel phenomenon is a tremendous force in contemporary music, with hundreds of these small organizations around the world actively distributing for free the music of willing musicians. In many ways, the concept of the netlabel is at the forefront of the Creative Commons — except for one lingering issue: Many netlabels set their tracks to a license that doesn’t allow for derivative works. On a label-by-label basis, that’s likely an informed decision. But from a broader perspective, it arguably stunts the promotion of shared culture. In order to encourage the employment of licenses that allow for derivative works, such as remixes, the Disquiet Junto will focus its collective attention this week to a netlabel that allows for derivative works. We’ll take three tracks from three different releases from the Nowaki label, based in Paris, France, and combine them into remixed celebrations of the label’s vibrancy. “She Likes to Look at the Sky” from Kluge’s No Love, Please. Note: You will likely have to download the full albums to access the source audio. Deadline: Monday, October 1, at 11:59pm wherever you are. Title/Tag: When adding your track to the Disquiet Junto group on Soundcloud.com, please include the term “disquiet0039-remixingnowaki”in the title of your track, and as a tag for your track. News came this morning of a forthcoming Brian Eno album, simply titled Lux, due out November 13 from Warp Records. Somehow seven full years have passed since Eno’s last solo record, Another Day on Earth (Hannibal). In the interim, Eno has joined the Warp label, which put him on a roster alongside Autechre and Aphex Twin, among many other notables, electronic and otherwise; for Warp he’s released two full-length records on Warp, Small Craft on a Milk Sea with musicians Jon Hopkins and Leo Abrahams and Drums Between the Bells with poet Rick Holland, as well as the Panic of Looking EP that came out of the Drums Between the Bells sessions. Pre-release build-up isn’t exactly the Disquiet.com métier, but since just about everything posted today about the yet-to-be-released record seems to simply be lightly rewriting the press release, this post is intended to round up some additional tidbits. To begin with, up top is a video from YouTube that is annotated as “Music for the Great Gallery” and as an “installazione sonora di Brian Eno per la Galleria Grande.” As of this writing, the video has only 738 views, even though it’s been online since July 24 of this year. The video appears to be an official posting from the arts institution that organized the exhibit that is depicted. The brief press release from Warp on the Lux record described Lux as “a 75-minute composition in twelve sections that evolved from a work currently housed in the Great Gallery of the Palace of Venaria in Turin, Italy.” This aligns with the description of the work in the video (more details toward the end of this post). 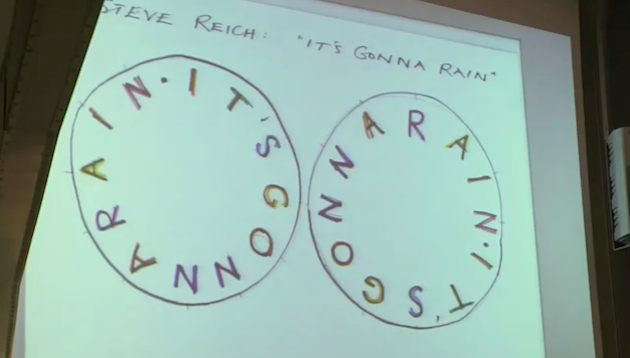 The album has four tracks, each about 20 minutes long, and by all appearances they will be drawn from the systems that produced the music heard in the above video. 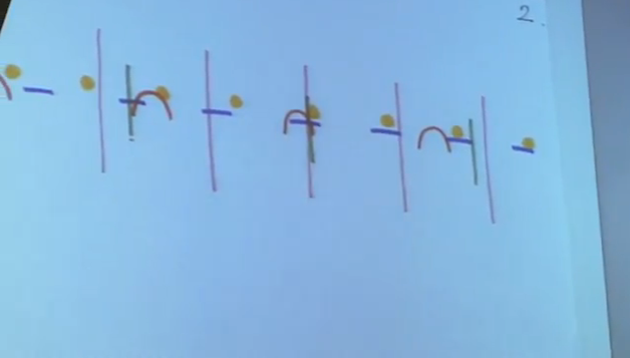 Part of the role of these diagrams is to explain how the works function, how those simple elements in the Riley work are intended to be repeated at the musician’s discretion, and how the Reich consists of loops that phase in and out. The diagrams also serve the purpose of distinguishing the music from that which would be traditionally depicted as a series of notes on staffs. 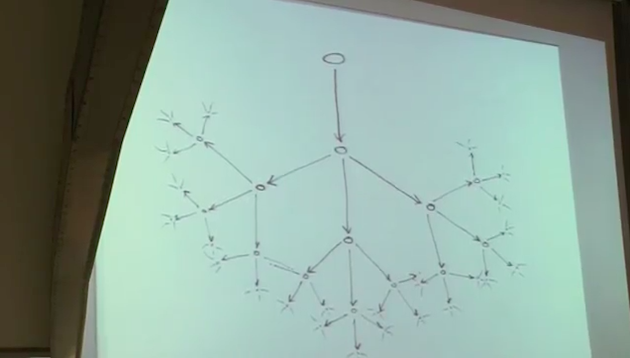 And, finally, the diagrams allow him to move into a second set of images depicting how organizations are structured. 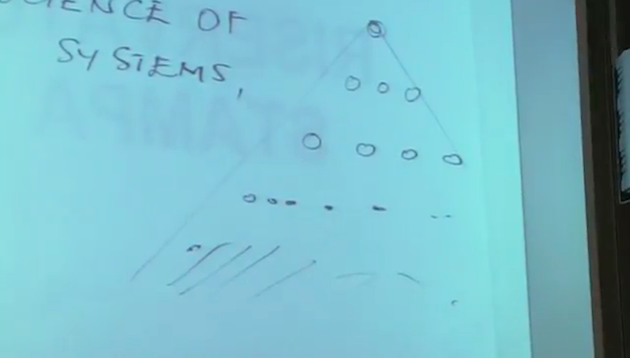 In closing he mentions the roles of genetics and cellular automata in his compositional awakening. He singles out “autopoiesis,” or “self-making,” as the mode in which he is engaged, something that produced music he had “never imagined.” He lists Music for Airports as an example of the music that has resulted from this practice. As of this writing there is just one comment on each of the two YouTube videos: a peculiarly dismissive one on the lecture (“Uh… didn’t John Cage do this like 40 years ago?”) — peculiar since the whole point of the lecture is looking back 40 years to the origins of what Eno is up to — and one on the installation excerpt that connects it to the forthcoming album (“Just ordered Lux cant wait to hear full version”). 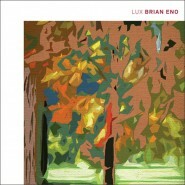 Â¶ More on the Eno album Lux at brian-eno.net/lux and bleep.com. It finds him expanding upon the types of themes and sonic textures that were present on such classic albums as Music for Films, Music for Airports and Apollo: Atmospheres and Soundtracks. 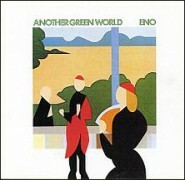 Eno sees it as a continuation of his ‘Music for Thinking’ project that includes Discreet Music (1975) and Neroli (1993). It’s intriguing that the list doesn’t include Thursday Afternoon (1985), which like Lux originated as music from an installation. Update 2012.09.27: Wif Stenger reminded me of the Brian Eno Kite Stories album from 1999; it’s another project whose audio was sourced from an installation, this one the Kiasma Museum of Contemporary Art in Helsinki, Finland. His note in turn reminded me of other installation projects not mentioned in the Warp press release. The 1997 Lightness was from an exhibit at the Marble Palace in the State Russian Museum of St. Petersburg, Russia. I Dormienti, like Kite Stories from 1999, was from an exhibit at the Undercroft of the Roundhouse in London. The 2000 Civic Recovery Centre was from the Hayward Gallery in London. The 2001 Compact Forest Proposal was from the San Francisco MoMA. 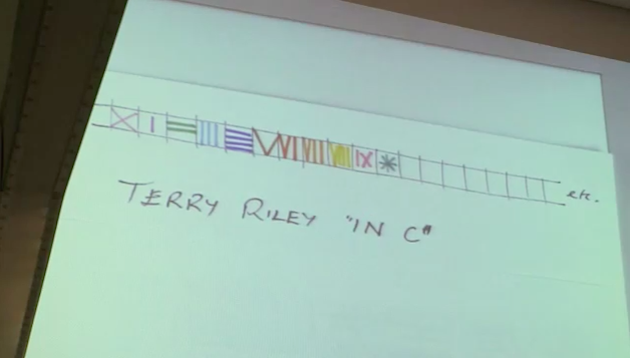 I started writing “12 Seasons. Music for the Great Gallery”in my studio in London. I had seen pictures and plans of the Reggia di Venaria and I was confident I had found the right approach: I worked for a few weeks on a track that I brought to the Reggia for testing in May 2012. When I listened to it in the extraordinary context of the Great Gallery, however, I realized that it was not right. What I had composed – in my studio in London, wrapped up in England’s grey climate – was introspective and somewhat dark. There was not doubt in my mind that it was an “interior”track. What is most striking about the Great Gallery – and you realise as much only when you step into it – is that it is soaked in light and space: nothing further from an “interior”feeling. Juvarra had designed it to invite the world to get in, so it seemed appropriate that music should exist inside as well as outside of space, almost like a cloud or an atmosphere that would envelop the construction from the outside. Conceptually, this music is similar to other works I did around forty years ago (e.g., Discreet Music, 1975). I am still deeply fascinated by the range of transformations that are possible starting with a limited “stock”of original notes, and this piece is a perfect example in this sense. Nevertheless, there is also a new starting point. Building on the Reggia’s “classical”imprint, I wanted to make sure that the track was made up of several “movements”rather than a single block. Thus only 4 or 5 or 6 of the original 7 sounds I had decided to work with will eventually be used in each section. This means that the emotional quality of each section is slightly different, and as it progresses, the piece evolves and takes on different overtones. 12 Seasons. Music for the Great Gallery of the Palace of Venaria, in its final version, is made up of two 1-hour tracks consisting of 12 sections each. Only four speakers are in place, two at the entrance and two at the end of the Gallery, all facing the center of the hall. Visitors walking down the Gallery are wrapped into two distincts sound flows: as they approach the center of the hall, echoes of the sounds behind turn into a memory that blend in the soft reverberations of the sounds that lay ahead. Music thus becomes an “essential constituent”of the Gallery, like a color, a scent, almost a newly crafted decoration – after the ones designed by the architects Juvarra and Alfieri. Music as a complement to space”. Â¶ And, finally, it’s unclear who created the Lux cover art, but it certainly has a certain kinship to the work of Tom Phillips, who has done numerous pieces of art associated with Eno —Â notably the cover to Another Green World, which this resembles.